With our Solar Span Insulated patio roof panels, Perth homeowners can enjoy spending time in their gardens all year round. In the summer, these panels will ensure that your patio does not become unbearably hot and when used as a roof for summer houses and enclosed pergolas, they can help to create a space where you can sit outside in the winter months as well. 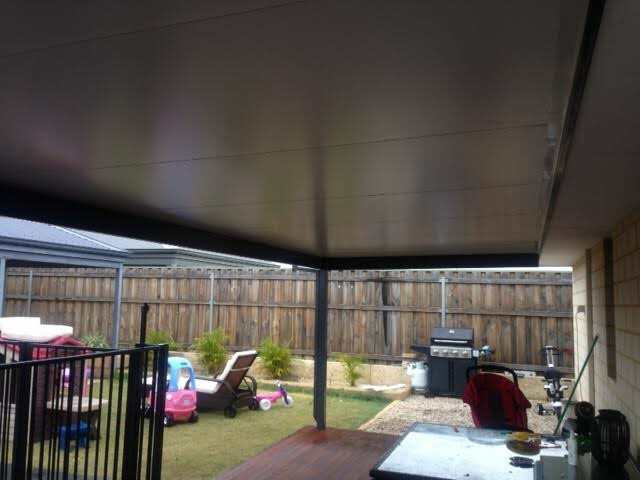 Whether you have an existing patio that you would like to have covered with our Solar Span Insulated panels or you are starting from scratch, please feel free to call us on 0402 051 577 to discuss your requirements with a member of our team. If you like what you hear, we will be more than happy to visit your home and provide you with a detailed, no-obligation quotation. We aim to provide our customers with the best products available, at the very best prices. 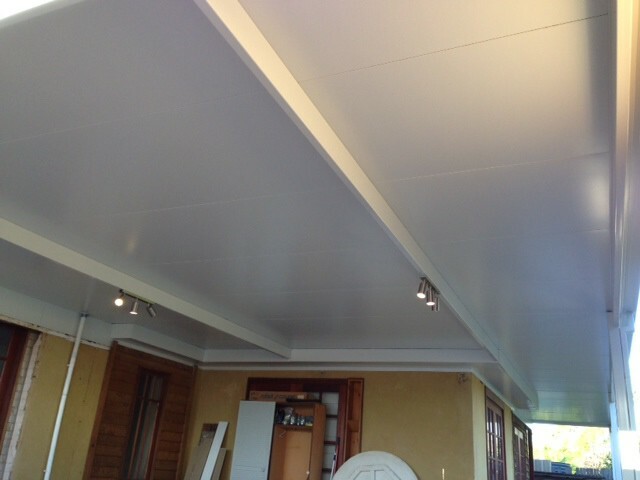 It is for this reason that we use SolarSpan and InsulRoof, by Bondor, Australia’s leading manufacturer of thermal building components. Although they are the best in the business, these Solar Span Insulated panels are very affordably priced, making them the perfect choice for residential applications such as patios and carports. 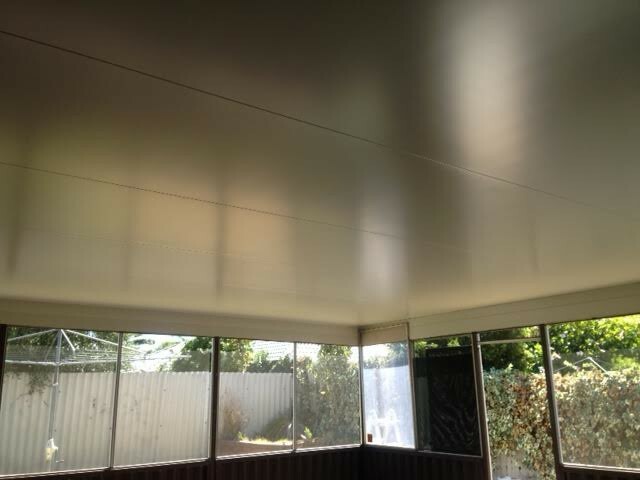 With COLORBOND steel exteriors, the panels are not only very effective at keeping out the heat, they are aesthetically pleasing too. 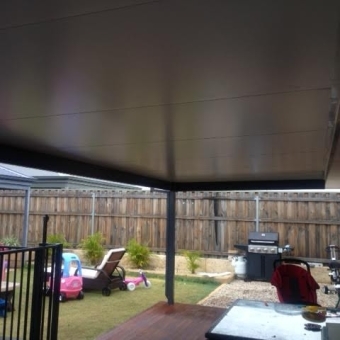 If you have spent some time checking out the different types of insulated patios in Perth and have yet to find one that meets all your requirements, you will be pleased to know that your search is finally over. The wide range of colours in which they are available, together with the unrivalled strength and efficiency for which they are renowned in the industry, make our panels the best choice for all residential applications. We don’t just supply the best Solar Span Insulated patio roofing in Perth, we design and build the patios for which it is designed too. With more than 30 years of experience between us and a desire to provide our customers with the very highest level of service in Western Australia, you can trust us to meet all of your outdoor construction needs. Whether you live in the city centre or a far flung suburb, call us today to find out what we can do for you. We have established an excellent reputation for ourselves during our time in business and are well known for providing our clients with custom designs that not only meet but exceed their highest expectations. 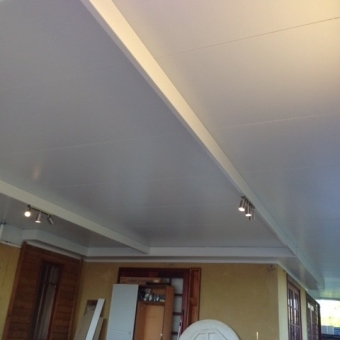 SolarSpan and InsulRoof panels feature expanded polystyrene cores, providing excellent thermal performance, and COLORBOND steel exteriors that will withstand whatever the elements may throw at them. 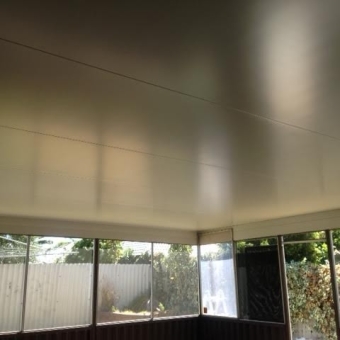 The steel on the underside of each panel is painted at the same time as it is manufactured, so once we have installed them over your patio or carport, you will have a readymade ceiling as well as a highly efficient Solar Span Insulated roof.